Beautifully composed and tragic, James Lee Burke’s 35th novel is a sweeping historical epic of war and the American dream. James Lee Burke is famous for a long-running mystery series starring detective Dave Robicheaux and Clete Purcel; two series centered on Billy Bob and Hackberry Holland; and stand-alone novels and story collections that all evoke the beauty, heartache and social injustice of Louisiana and Texas (among other locales). His 35th book, Wayfaring Stranger, tells a historical and sometimes fantastical story of the birth of Big Oil, the legacy of World War II and the far-reaching influences of Bonnie and Clyde. In the opening pages, young Weldon Holland fumes at his grandfather, Hackberry, who was a poor parent to Weldon’s mother and is now poised to have her locked away and electroshocked. It’s the early 1930s, and Weldon’s father is gone, looking for work. Four trespassers in a 1932 Chevrolet Confederate challenge Weldon and Grandfather on their ranch, and the confrontation ends with Weldon firing a shot through the back windshield at Bonnie Parker, Clyde Barrow and two of their associates. This interaction casts a long shadow over the rest of Weldon’s life. His story resumes in 1944 when he ships out for England as a second lieutenant. Weldon sees action in Normandy, particularly Saint-Lô, and the Ardennes; he digs Sergeant Hershel Pine out of a collapsed foxhole in the snow after an attack, and together they rescue a beautiful Spanish Jew named Rosita from an abandoned death camp. The three walk across enemy territory, lose toes to frostbite, fight tuberculosis, and are eventually separated. 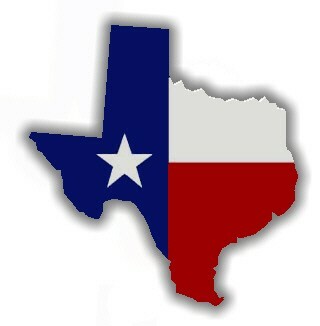 After the war, Weldon finds and marries Rosita, and Hershel turns up on Grandfather’s Texas ranch. Together they establish the Dixie Belle Pipeline Company, using Nazi tank technology, Hershel’s welding skills and nose for oil, and Weldon’s family connections to build a minor empire. But the old money in Houston’s exclusive River Oaks neighborhood is offended–by their success and their humble upbringings, and particularly by Rosita’s heritage. And thus enter two of Burke’s favorite subjects: the evil lurking in the everyday, and the hero’s struggle to repress the evil within himself. Hershel’s wife, Linda Gail, creates more conflict: her actions endanger both business and family success, especially when she gets “discovered” and shipped out to Hollywood. Burke’s fans will recognize his lyrical strengths regarding the themes of social justice and class struggle, violence set to a stunning backdrop of natural beauty and destruction, and a Gulf Coast region that includes historically accurate details to delight Texas and Louisiana natives. He creates strong and convincing characters on the sides of both right and wrong, and through them writes a compelling American history. Weldon investigates his father’s disappearance, Linda Gail’s unfaithfulness, and the evil forces that have targeted the well-being of his and Hershel’s families; but this is not a mystery. 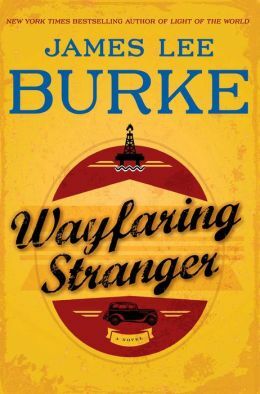 In fact, perhaps more than any of Burke’s previous work, Wayfaring Stranger is a tender love story, proving yet again his versatility and skill in creating gorgeous, luscious, painful stories of the American experience. This review originally ran in the June 26, 2014 issue of Shelf Awareness for the Book Trade. To subscribe, click here.